As many people fret over a possible federal crackdown on weed, Oregon has stepped up to the plate to protect its pot-smoking citizens. A proposal to shield the names, birthdates, driver’s license numbers or any other identifying information of potentially thousands of Oregon’s recreational pot customers cleared its first major hurdle in the Oregon Legislature this week. The proposal, Senate Bill 863, was sponsored by a 10-member bipartisan committee that has already crafted most of Oregon’s marijuana policies. The bill cleared the Senate on Tuesday and now, heads to the House for consideration. SB 863 seeks to put an end to a common practice in Oregon’s pot industry, wherein legal retailers tend to store information on their customers, such as names, addresses, birthdates, driver’s license numbers, etc. 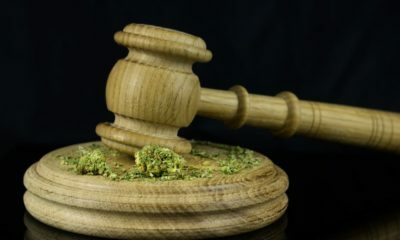 If the proposal becomes law, which is likely, retailers would have 30 days to destroy their recreational customers’ info and would be prohibited from keeping those records in future. Data from medical marijuana cardholders would be excluded from this practice in that they don’t face persecution from the feds, at least not yet. But why were pot retailers keeping this information in the first place? Like many large retailers in the U.S. who ask similar questions, legal weed vendors say the data they collect is used for marketing purposes, such as email lists for promoting new products and for offering birthday discounts. Senate Bill 863 would still permit this type of data keeping, but only if the customer does so willingly. State Senator Ted Ferrioli, Republican minority leader and one of the bill’s sponsors, said it is a privacy concern not only for Oregon’s pot smokers, but potentially federal employees, concealed-weapon permit holders and out-of-state visitors. “I don’t have to tell you of the frequency of hacking incidents or inadvertent releases of data… the loss of this information could be damaging for many different reasons,” Ferrioli said Tuesday on the Oregon Senate floor. “We’ve heard a lot of conflicting information about the (White House) administration’s approach to cannabis,” he continued. That’s for sure. Mixed signals from the White House abound. There’s White House spokesperson, Sean Spicer, who suggested a federal crackdown might occur…sometime. No matter how things pan out in this tense, and at times baffling, standoff between states’ rights and the strident anti-weed White House, any enforcement of federal prohibition could be complicated for Oregon, where most pot shops are licensed to serve both recreational and medical patients in the same place. “When you’re a medical cardholder, you opt-in to your records being kept because you have a qualifying condition that requires higher limits and potencies and certain products… So, the bill went as far as it reasonably could to protect privacy,” said Jonathan Lockwood, spokesman for the Senate GOP caucus. Oregon… such a reasonable state; GOP and Democrats working together. Why can’t we all be like Oregon?